I recently blogged on the case of Senyszyn v. Commissioner, 146 T.C. ___, No. 9 (2016), here, referred to as Senyszyn II to distinguish from the first opinion in the case in 2013, where the Tax Court declined the IRS's invitation to apply the doctrine of equitable estoppel arising from the taxpayer's conviction for tax evasion. See Tax Evasion Conviction Does Not Compel a Finding of Deficiency Where There is No Deficiency (Federal Tax Crimes Blog 4/2/16), here. An element fo the crime of tax evasion to which the taxpayer pled is tax evaded (some courts say it must only be some tax evaded; others say substantial tax evaded, although the substantial modifier is not a textual element of the crime). Accordingly, the taxpayer's plea to tax evasion included a stipulation that he willfully failed to report income of $252,726 which, in most cases would mean a tax evaded, indeed a substantial tax evaded. In the ensuing tax case involving the year, however, the evidence demonstrated that there was no evaded tax. 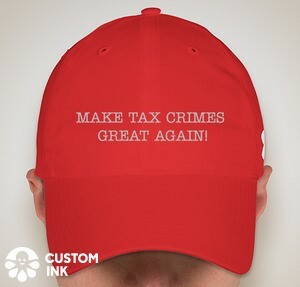 The IRS nevertheless urged that the Tax Court should find some minimal amount of tax evaded pursuant to the plea agreement as to that element of the crime. The Tax Court declined to imposed collateral estoppel against the evidence it had before it. The IRS was not pleased. Conjuring the horrors that might result, the IRS asked for reconsideration, urging that collateral estoppel was mandatory rather than equitable subject to the court's discretion. The Tax Court (Judge Halpern) again rejected the position. Senyszyn v. Commissioner, T.C. Memo. 2016-137, here. The Court has a good history of the proceedings before the Tax Court, with the first opinion in 2013 and not, apparently, the last just last week. In that motion, respondent alleges that, in Senyszyn II, we "did not properly apply the standard for collateral estoppel." In particular, respondent argues that our claim of "broad discretion in the application of collateral estoppel" was a substantial error of law because it "contradicts previous holdings of the Court of Appeals for the Third Circuit, the court to which any appeal in this case would lie." Finally, respondent alleges that proper application of the standard for collateral estoppel would result in "a substantial tax deficiency for petitioners." According to respondent, that Court of Appeals allows trial courts discretion in the application of collateral estoppel only when the doctrine is asserted by a claimant who was not a party to the prior litigation (i.e., cases of "non-mutual" collateral estoppel). By contrast, in cases involving "mutual" collateral estoppel, in which the doctrine is asserted by a party to the prior litigation, courts must apply the doctrine whenever the legal conditions to its application are met. Respondent also suggests we "consider the breadth of * * * [our] opinion." He worries that the discretion we have claimed in the application of collateral estoppel might encourage "many more challenges to clear-cut cases" that will "waste judicial resources and the resources of the parties, thereby frustrating the entire purpose of collateral estoppel." He also professes concern that our Opinion "might be used to challenge prior criminal convictions." Finally, respondent suggests that applying collateral estoppel would "save the Court from having to confront the question of a requirement to arbitrarily determine some 'substantial tax deficiency' in order to afford the District Court the comity to which it is due, in a case where this Court's factual analysis shows there really is no deficiency at all." "The better course", respondent recommends, "is to accept via collateral estoppel the liability to which Mr. Senyszyn stipulated in his guilty plea as a minimum deficiency." Even if we were to apply collateral estoppel in this case, the doctrine would not support upholding the deficiency respondent asserts. For the reasons explained in Senyszyn I, collateral estoppel, even if applicable, would not establish the amount of any income petitioners failed to report for 2003. Were we to apply collateral estoppel, we would have to determine a deficiency in whatever minimum amount would justify Mr. Senyszyn's conviction under section 7201. Because prior cases do not establish a minimum amount necessary to support a conviction, the determination respondent requests of us would necessarily be not only arbitrary but also nominal. We remain convinced that no purpose would be served by upholding a nominal deficiency--one that respondent apparently concedes would be contrary to the evidence --merely because the legal preconditions for the application of collateral estoppel are satisfied. We see nothing in the Court of Appeals' opinion in Jean Alexander, or in its jurisprudence generally, that requires us to make such a seemingly pointless determination. Instead, that court's opinions confirm that, in any case raising the possible application of collateral estoppel--whether offensive or defensive, mutual or nonmutual--a court must consider relevant equitable factors to assure that the doctrine is applied in a manner consistent with its underlying objectives. Because the discretion we exercised in Senyszyn II is squarely within the scope of Third Circuit precedent, we will deny respondent's motion. Of course, this holding by the Tax Court does conflict conceptually the conviction for tax evasion in the criminal case. One function for the doctrine of collateral estoppel is to avoid such a conflict. Another function is to promote judicial economy so that issues require litigation and judicial decision only once. But here it was clear that the IRS request for some minimal deficiency. Would $1 suffice, with a resulting $1.75 civil fraud penalty, plus interest on both since the due date of the return, suffice? Why is the IRS fighting this issue with no potential regard to the amounts in issue? For a fight about small amounts where the IRS was on much more solid ground, King v. Commissioner, ___ F.3d ___, 2016 U.S. App. LEXIS 13269 (7th Cir. 2016) (Posner, J. ), here. Of course, something was really at stake in the King because of its precedential effect. Judge Halpern just did not see any serious precedential effect in Senyszn.